Many thanks to all who supported our fundraising team at Tregoad Park on Sunday, fantastic support given the weather. We were able to visit yesterday , and say thank you for the continued support. 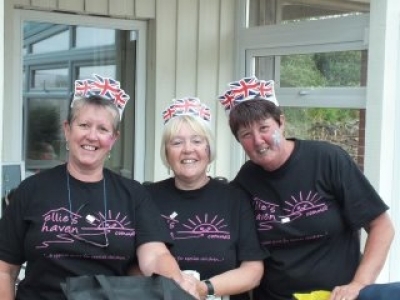 Pictured below,are Mary, Elaine, and Babs who organise and arrange all the events on site , with the permission of the owner,Peter, to whom we are especially grateful to.